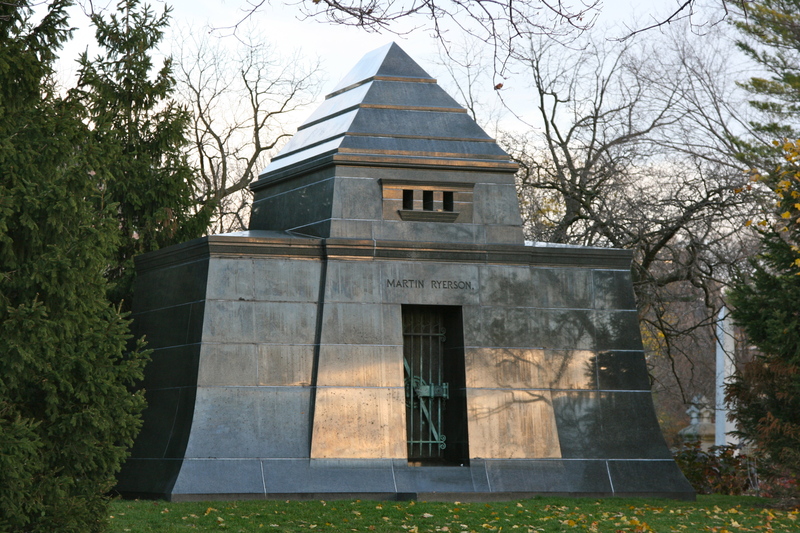 Getty and Ryerson Tombs, Graceland Cemetery, Chicago | ride. travel. live. 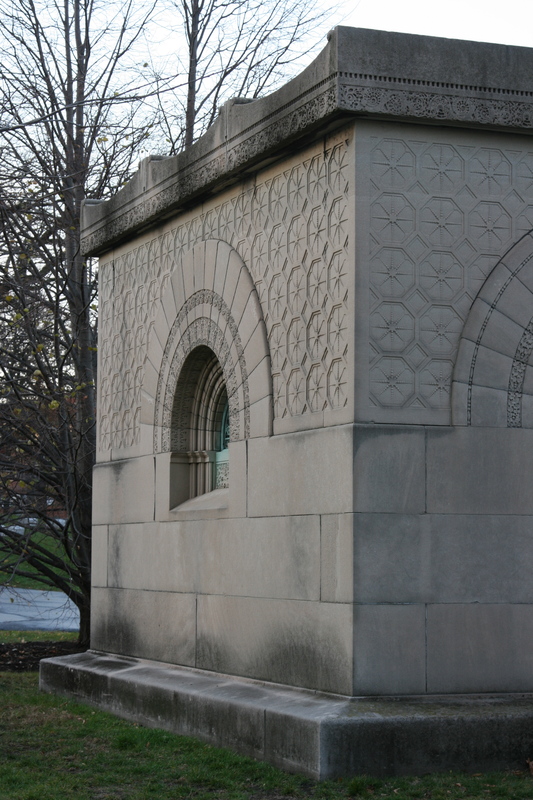 These are two tombs designed in very different styles by Louis Sullivan at the turn of the 1890s, located about 500 feet apart in Chicago’s Graceland Cemetery. 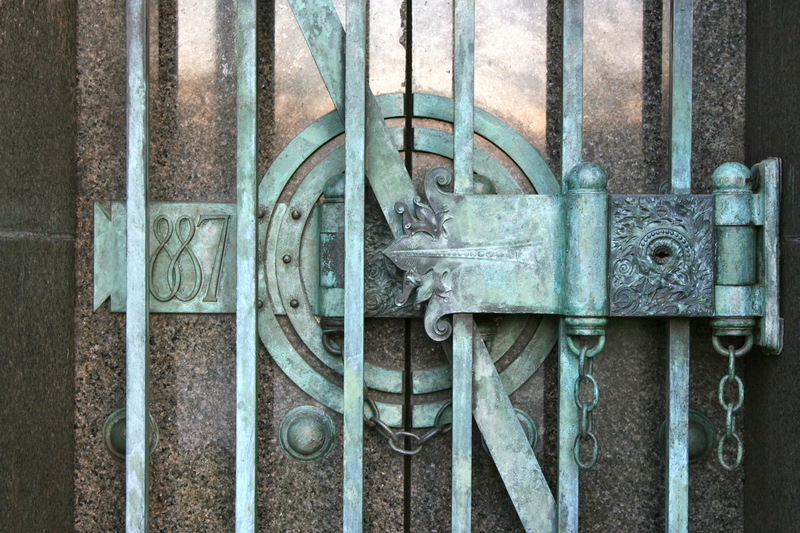 The Ryerson Tomb (1889) borrows from ancient Egypt, and unlike Sullivan’s buildings, is a polished dark gray granite structure that portrays a sense of timelessness, by reflecting its surroundings. 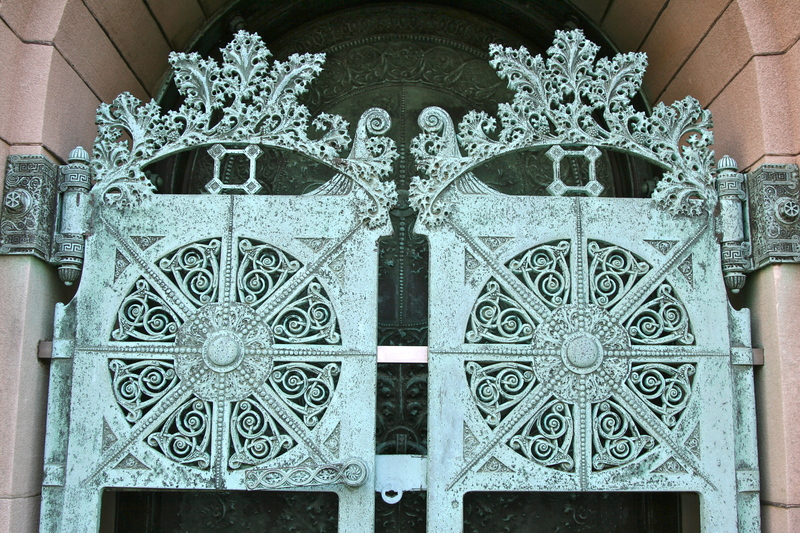 Sullivan’s famed decoration is minimal here, limited to the entryway, and even that is quite restrained. 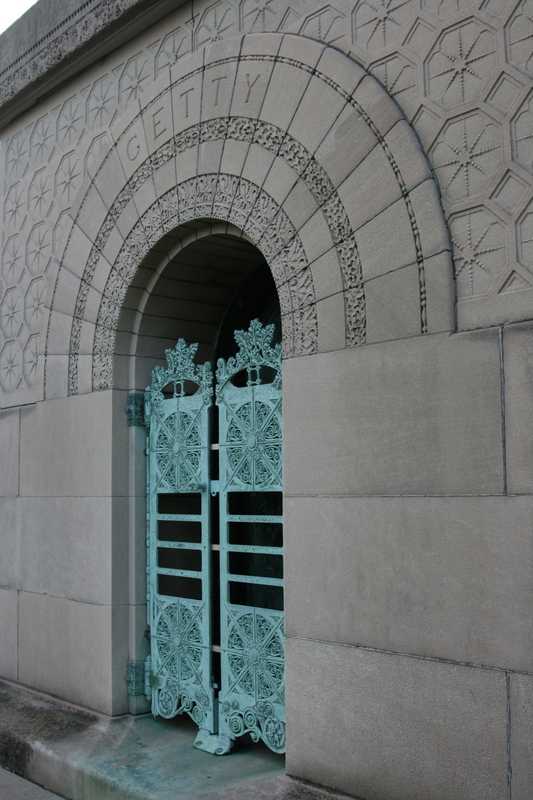 It’s pure Sullivan, however, and while the structure itself is Egyptian-inspired, the decoration isn’t. It’s probably best appreciated towards sunset, when the sun reflects off of the main entrance and the granite mirrors the immediate surroundings.